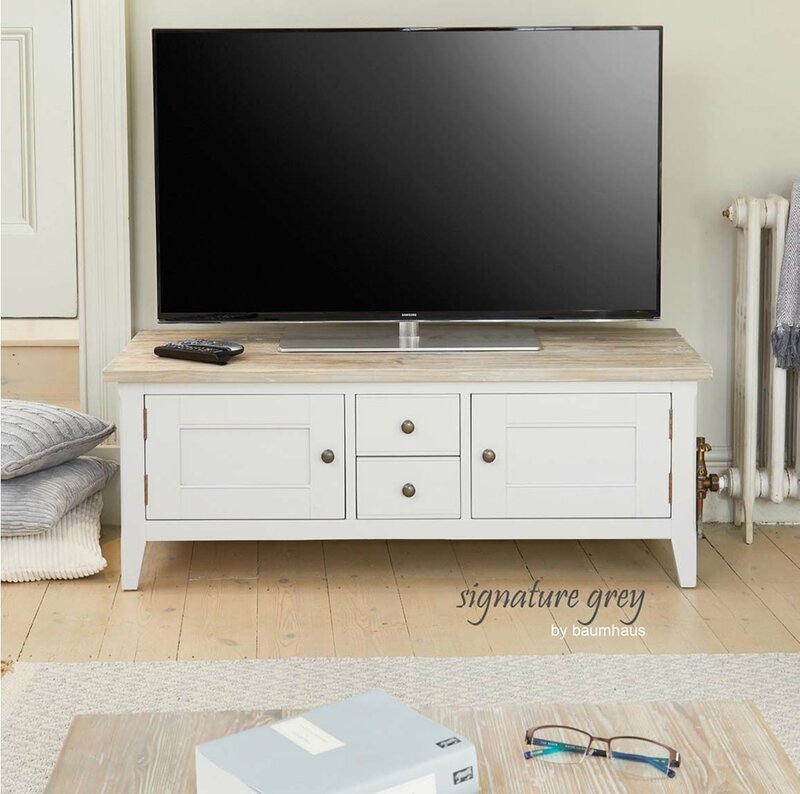 A fabulous widescreen television cabinet, designed to hold TVs up to 65”. 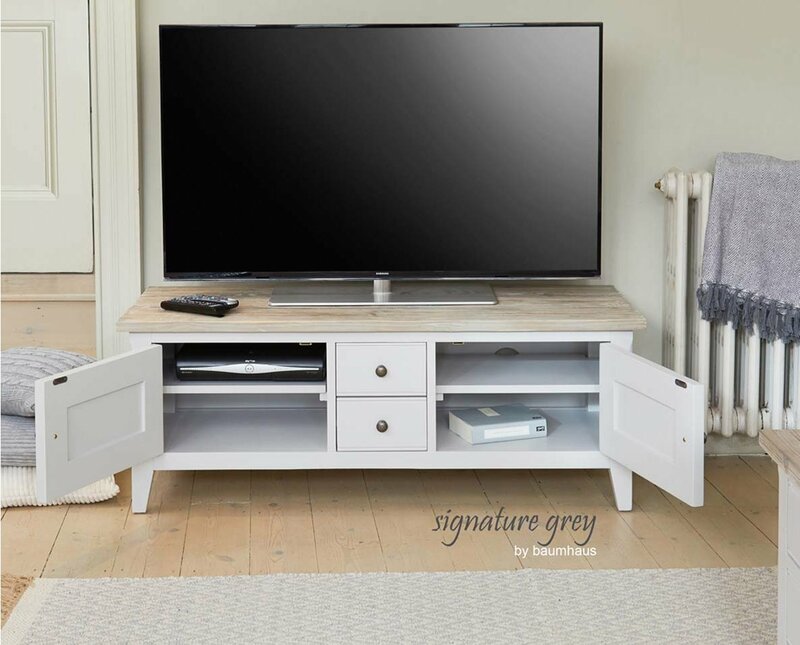 The key feature to this collection is the exquisite hand-distressing on the grey limed tops, which is carried out by skilled craftsmen to create the unique eye-catching appearance that makes this collection so distinctive Combining timeless elegance with a warm, homely quality, the Signature range is modern classic furniture at its absolute finest. 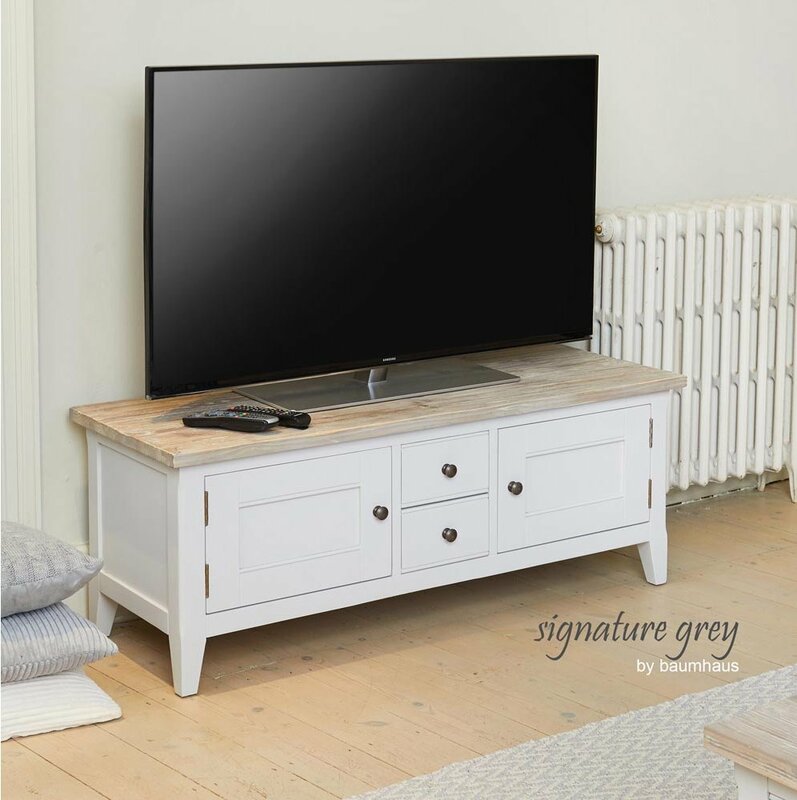 This product is painted in modern grey using our six stage paint process, ensuring the best appearance and resilience to everyday use. Fitted with distressed bronzed hardware which complement this collection beautifully . Suitable for TVs up to 65"